Observing people could be a very interesting thing to do at one’s leisure. I was once at a departure hall waiting for a flight and I observed a child crying and struggling uncontrollably in the hands of a lady. The lady in question was making effort to rock the child to a soothing calmness but that didn’t work out. She tried to appease him with the available toys but he successively rejected all of them. The unpleasable child continued to cry and struggle until another lady emerged from the restroom and quickly took the child from the first lady. Instantly, the child stopped crying and held the lady with locked embrace with his petite muscles, while reclining his head on her shoulders. It was at this point that we all, (observers) knew that the lady who just came in was the actual mother of the child. Most interesting lessons of life could be learnt from little children. One of the characteristics that is typical of them is their trust and dependence on their mothers. Mothers on the other hand are so connected with their little children to the extent that they know when their cry is for food, sleep, a sign of fever, headache, stomach-ache or any other ailment or need. Our relationship with God can fittingly be viewed from the point of view of the relationship between a committed mother and her child. This allusion can also be found in most places in the bible for instance Isaiah (66:13) says: “As a woman comforts her child so I will comfort you; you shall be comforted in Jerusalem”. Today in the Gospel Reading (John 15:1-8) this relationship is seen from the point of view of the one that exists between a tree and its branches. In this relationship, the life of the branch is dependent on that of the mother tree. It is from the mother tree that the branch derives all that it needs to grow and bear leaves and fruits. In the exhortation, our Lord Jesus Christ established that he is the TRUE vine and the Father is the vinedresser. He is not just the vine but the true vine. This tells us that there are false vines but one true vine. The vinedresser (the Father) has two significant duties; He cuts away the fruitless branches and prunes the fruitful ones. These represent divine retribution which rewards us according to our deeds. To abide in Christ as a branch abides in the mother tree is most needful for us for a variety of reasons. For Fruitfulness: From the exhortation our Lord said that a branch cannot bear fruit unless it abides in the vine. In the same way, our fruitfulness as Christians is dependent on our abidance in Christ Jesus our Lord. For Value and Relevance: Our Lord also said categorically that apart from him (or cut off from him) we can do nothing (John 15:5). This means that our relevance and value are based on our abidance in Jesus Christ. For Salvation: There is absolutely no salvation outside Jesus Christ the true vine. On account of this, our Lord himself said: “if a man does not abide in me, he is cast forth as a branch and withers; and the branches are gathered, thrown into the fire and burnt”. To avoid damnation and to embrace salvation the branch should be always linked with the vine. For Answers to Prayers: Our Lord said within the exhortation that: “if you abide in me, and my words abide in you, ask WHATEVER you will and it shall be done for you”. This clearly shows us that abidance in the Lord is a sure way for our prayers to be answered. In fact it is logical as by that abidance we are rendered close to Jesus Christ and that makes it easier for our prayers to be heard and answered. For God’s Glorification: When we abide in the Lord the true vine, we bear good fruits. Our Lord in the exhortation adds that our productivity is to the glory of God. “By this my Father is glorified, that you bear much fruit, and so prove to be my disciple”. (John 15:8). There are still many things that will be of great gain for us when we abide in Christ. After his conversion which brought about his abidance in Jesus Christ, St. Paul experienced significant divine strength. It was not only his name that was changed but his entire disposition based on the fruit of his missionary work. In the First Reading (Acts 9:26-31), we are told that his bold and fearless speeches were so effective that the authorities sought to kill him. He bore fruits that gave him spiritual relevance, salvation, answers to his prayer and all these glorified God. Abidance in Jesus Christ the TRUE vine brings about our connection with the truth. In the Second Reading (1 John 3:18-24) we are told that: “By this we shall know that we are of the truth”. 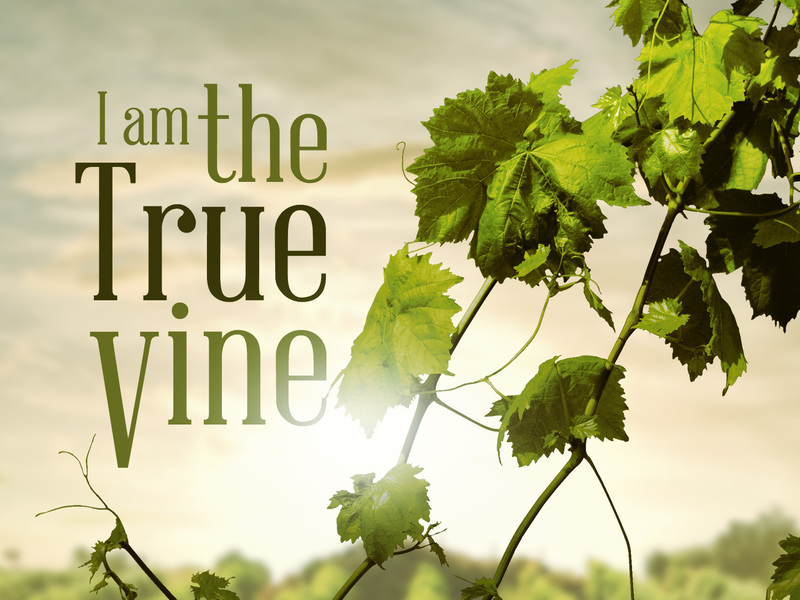 We understand here that when we abide in Jesus Christ the true vine we get connected to all the characteristics that are attributed to him including the truth. We are also moved by that connection to obey his commandment which includes our belief in Jesus Christ and our love for one another. In our day and age most of us find it convenient to abide in many useless things. Often we abide in material things, some abide in fashion, and others abide in friends and other mundane concerns leaving God aside. The truth remains that no matter how comfortable we think we are and we do not abide in Jesus Christ the true vine, we are simply running a wasteful project. Let us still remember what he said: “Apart from me you can do nothing”. That means we may have other things but if we do not have God we are complete losers. As we march into the Fifth Sunday of Easter let us be conscious and committed to the fact that we need to abide in Jesus Christ the true vine for our own spiritual benefit. May the grace of God be with you and have a great week ahead.